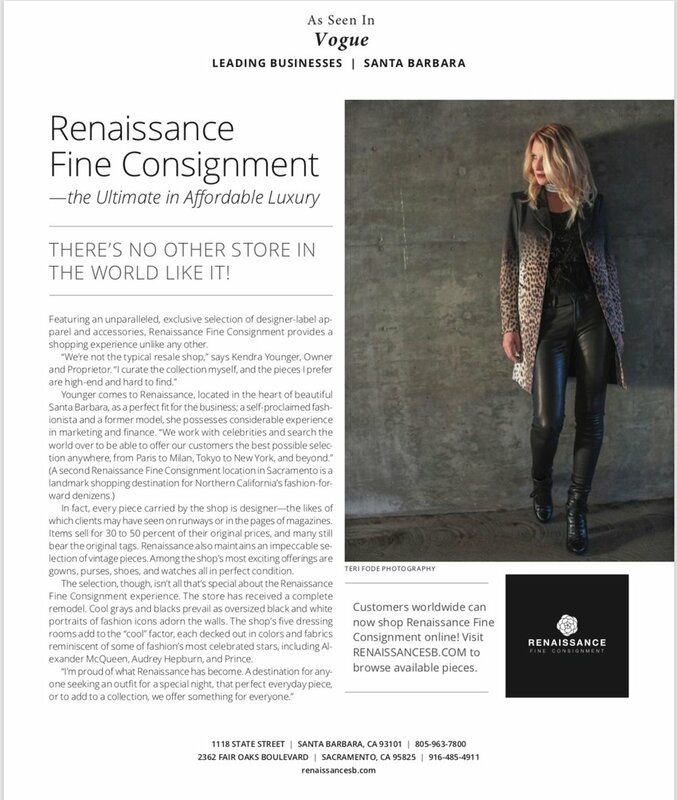 Known for our incredible designer finds and distinct style, you'll find Renaissance featured in various publications and editorials. Check us out in the Style section of Santa Barbara Magazine's September 2017 issue, perfectly titled "Trailblazers" as we announce new ownership! Look for us in Sacramento Magazine's "Best of Sac." Meet Kendra, Christian & Kealey Younger (daughter-in-law, son and granddaughter of now retired Joann Younger), the new owners of Renaissance Fine Consignment.